Composed by Arnold Schonberg. Arranged by Felix Greissle. Music Sales America. 20th Century. Set (Score & Parts). Composed 2002. 20 pages. Edition Wilhelm Hansen #WH18565. Published by Edition Wilhelm Hansen (HS.14029027). 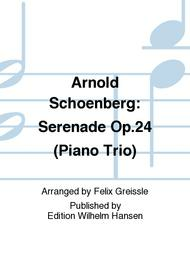 Arnold Schoenberg's Serenade Op.24 arranged for a Violin, Cello and Piano chamber group, by Felix Greissle. 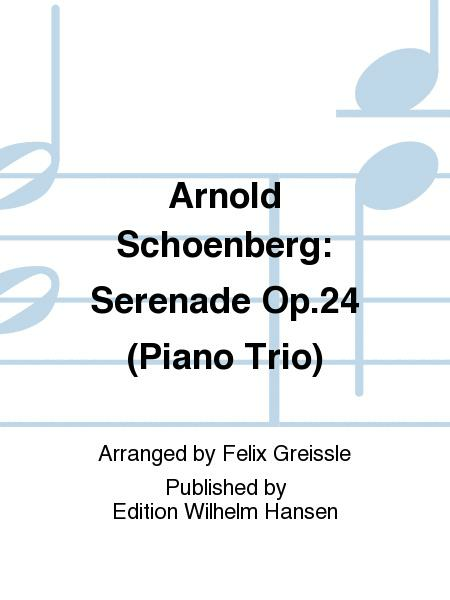 Arnold Schoenberg's Serenade Op.24 arranged for a Violin, Cello and Piano chamber group, by Felix Greissle.